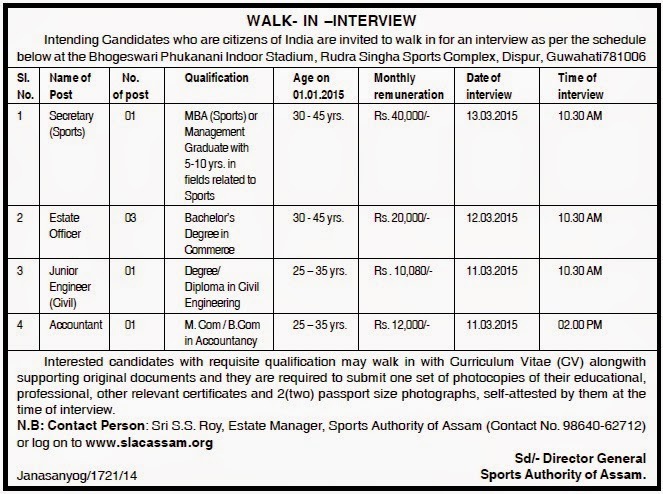 Intending candidates who are citizens of India are invited to walk in for an interview as per schedule below in the image at the Bhogeswari Phukanani Indoor Stadium, Rudra Singha Sports Complex, Dispur, Guwahati. Interview Schedule: Interview will start from 11th March 2015. Pl check the following image for more details.